Welcome to the November 17, 2017 edition of ACM TechNews, providing timely information for IT professionals three times a week. Microsoft Research's Kate Crawford and Open Research at Google founder Meredith Whittaker on Thursday announced the launch of the AI Now Institute, a cross-disciplinary initiative that will research the impact of artificial intelligence (AI) on society. Fields AI Now plans to bring together include data science, law, economics, and sociology. "The amount of money and industrial energy that has been put into accelerating AI code has meant that there hasn't been as much energy put into thinking about social, economic, ethical frameworks for these systems," Crawford says. "We think there's a very urgent need for this to happen faster." AI Now will focus on four core themes, including AI's ramifications for bias and inclusion, labor and automation, rights and liberties, and safety and critical infrastructure. Crawford and Whittaker want their efforts to yield a shared vernacular between AI creators and those who study its effects so societal solutions can be invented. Researchers at the Karlsruhe Institute of Technology (KIT) in Germany say they have quantum mechanically implemented and successfully executed Grover's algorithm, a process for the quick finding of a search element in unsorted databases. The researchers applied Grover's algorithm to a molecular magnet, creating a quantum system with the goal of quickly finding search elements in unsorted data. The researchers demonstrated the feasibility of a quick search for a small database of four elements. "But this method can be implemented in any quantum system with many non-equidistant energy levels, which opens up the way towards a universal quantum search algorithm," says KIT professor Mario Ruben. The team deployed Grover's algorithm in a molecular magnet that was subjected to superposition with specially designed microwaves. However, the quantum states were manipulated at very low temperatures using electric fields exclusively, which is why the researchers say the technology could be integrated into current electronic devices, according to KIT professor Wolfgang Wernsdorfer. 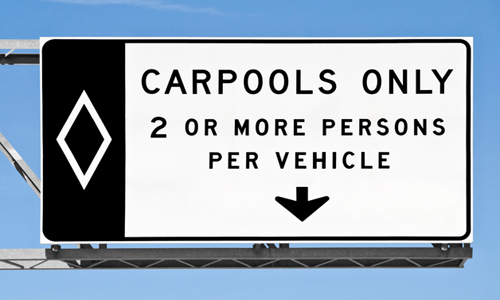 The European Union-funded CROWDS4ROADS project seeks to integrate the BlaBlaCar online ride-sharing community and the SmartRoadSense crowd-sensing system to maximize each other and make road travel less environmentally damaging. The CROWDS4ROADS team thinks by engaging drivers and passengers in checking roads and encouraging ride-sharing, they can significantly affect maintenance strategies and environmental footprints in terms of car occupancy rate, road monitoring, and end-user engagement in road maintenance and transport sustainability. The project aims to tap participants' smartphone cameras, in conjunction with a downloadable app that harnesses accelerometer data, to detect braking events and road bumps via machine-learning techniques and gyroscopes that identify road surface anomalies. The roughness index and smartphone global-positioning system data are periodically transmitted to a server where they are processed, tied to the specific road, and aggregated with data measured by other smartphones. Local authorities can use this data to identify where their roads need fixing, adding to cars' energy efficiency. Researchers at Intel Labs, the Toyota Research Institute, and the Computer Vision Center in Spain have developed Car Learning to Act (CARLA), an open source driving simulator that automakers can use to test self-driving technologies under realistic driving scenarios. The team says CARLA models a broad spectrum of driving conditions and repeats dangerous situations over and over to help train autonomous vehicle systems. CARLA's asset library of 40 different buildings, 16 animated vehicle models, and 50 animated pedestrians can be configured into towns under various climate and lighting conditions. The researchers have applied these assets to the simulation of two towns with several kilometers of drivable roads, and have so far tested three distinct approaches to training self-driving systems. "The approaches are evaluated in controlled scenarios of increasing difficulty," the team notes. They have released a video of the resulting driving behavior that demonstrates how well autonomous vehicles can perform. 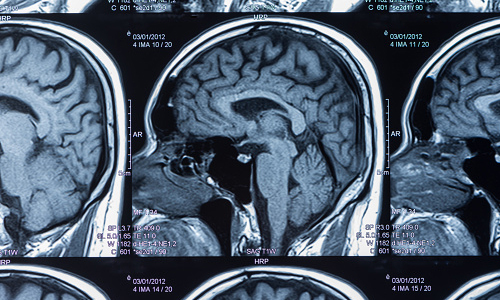 Machine learning could improve the ability to determine whether a new drug works in the brain, and could enable researchers to detect drug effects that would be missed by conventional statistics tests, according to researchers at University College London (UCL) in the U.K. To test this theory, the researchers examined large-scale data from stroke patients, extracting the anatomical pattern of brain damage and creating the largest collection of anatomically registered images of stroke ever assembled. The team used gaze direction as an index of the impact of stroke, objectively measuring from the eyes as seen on imaging scans. They then simulated a large-scale meta-analysis of a set of hypothetical drugs to determine if treatment effects of different magnitudes overlooked by conventional statistical analysis could be identified with machine learning. "The real value of machine learning lies not so much in automating things we find easy to do naturally, but formalizing very complex decisions," says UCL's Parashkev Nachev. Researchers at the Chalmers University of Technology in Sweden are about to start developing a quantum computer built from superconducting quantum bits (qubits). "Our goal is to have a functioning quantum computer with at least 100 qubits," says Chalmers professor Per Delsing. The project involves recruiting about 40 researchers, with their work to proceed over 10 years beginning next January. The research program also features a national excellence effort with the goal of conducting research and fostering expertise in four sub-areas of quantum technology--quantum computers, quantum simulators, quantum communication, and quantum sensors. "If Sweden is to continue to be a leading nation, we need to be at the forefront in these fields," says Knut and Alice Wallenberg Foundation chairman Peter Wallenberg Jr. "By focusing on the long-term expansion of expertise and by attracting the best young researchers, we can put Sweden on the quantum technology map in the long term. There are no shortcuts." Researchers at the University of Cambridge in the U.K. and Eindhoven Technical University in the Netherlands have developed a nanoscale magnetic circuit that moves information in all three dimensions. The researchers say they combined the most advanced techniques in three-dimensional (3D) nanoprinting with traditional methods to create functional circuits that can process information. "We demonstrate a new way to fabricate and use a magnetic device which, in a nanometric scale, can controllably move information along the three dimensions of space," says Cambridge's Amalio Fernandez-Pacheco. The researchers created the nanomagnets with an electron microscope and a gas injector to 3D-print a suspended scaffold on a two-dimensional silicon substrate. Magnetic material was then deposited over the ensemble to enable information transport. "Projects such as this one open the path to the development of a completely new generation of magnetic devices that can store, move, and process information in a very efficient way by exploiting the three dimensions of space," Fernandez-Pacheco notes. Researchers at Sandia National Laboratories and Boston University have developed a way to automatically diagnose problems in supercomputers, which Sandia's Jim Brandt says could result in real-time diagnoses that alert supercomputer operators to problems and even autonomously fix the issues. The researchers developed a suite of issues they have encountered in their work with supercomputers, then wrote code to re-create the problems or anomalies. The team ran the programs on two separate supercomputers and collected data on the process, monitoring how much energy, processor power, and memory was consumed by each node. They then trained several machine-learning algorithms to detect the anomalies by comparing data from normal program runs and those with the anomalies. 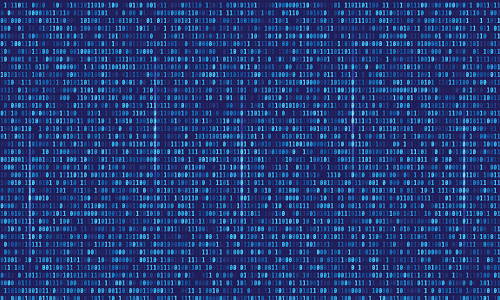 One algorithm was especially good at analyzing vast quantities of monitoring data, deciding which metrics were important, and determining if the supercomputer was being affected by an anomaly. Brandt says the team wants to validate the diagnostic techniques on actual anomalies discovered during normal runs. 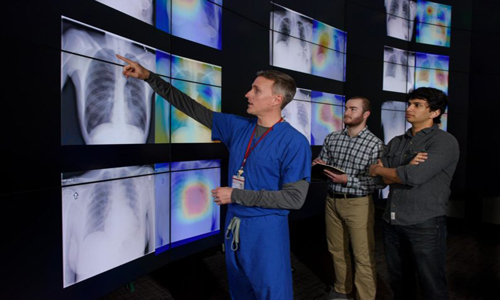 Researchers at Stanford University say they have developed a deep-learning algorithm that evaluates chest x-rays for signs of disease and can outperform radiologists at diagnosing pneumonia. The researchers say the algorithm also can diagnose up to 13 other types of medical conditions with greater accuracy than previous state-of-the-art methods. The algorithm uses a public dataset, initially released by the U.S. National Institutes of Health Clinical Center, containing 112,120 frontal-view chest x-rays with up to 14 possible pathologies. The researchers had a group of radiologists independently annotate 420 images for possible indications of pneumonia, and they developed a computer-based tool that produces a heat map of the chest x-rays, but instead of representing temperature the map colors represent areas most likely indicating pneumonia. "We plan to continue building and improving upon medical algorithms that can automatically detect abnormalities and we hope to make high-quality, anonymized medical datasets publicly available for others to work on similar problems," says Stanford graduate student Jeremy Irvin. Researchers at the University of California, San Diego have developed Fastron, a collision-detection algorithm that uses machine learning to help robots avoid moving objects and travel through complex, rapidly changing environments in real time. Fastron is a minimalistic approach to collision detection, relying on machine-learning strategies to classify collisions versus non-collisions in dynamic environments. One important aspect of the algorithm is that it updates its classification boundaries rapidly to accommodate moving scenes. Fastron's active learning strategy uses a feedback loop by first creating a model of the robot's configuration space (C-space) with a small set of collision points and collision-free points, and then defining a classification boundary between the collision and collision-free points. As obstacles move, the classification boundary changes, and Fastron intelligently checks near the boundaries instead of performing collision checks on each point in the C-space. After classifying collisions and non-collisions, the algorithm updates its classifier and restarts the process. 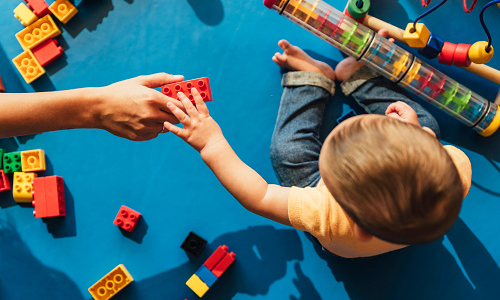 In an interview, Radboud University in the Netherlands' Johan Kwisthout discusses efforts to use robots to replicate the brains and behavior of infants in order to better understand their learning process. He says the goal is to learn how information processing changes as infants' vision improves and their perception is affected. "We are considering the possibility of simulating growth in robots...by fitting them with physical characteristics and changing certain parts of the robot during the course of the research," Kwisthout notes. Among the applications he envisions for such research is the enhancement of mutual communication and effectiveness by enabling robots to recognize and convey emotions. Kwisthout also says the current focus of research is on establishing trust via first impressions and facial expressions. "Robots can help us understand the subconscious mechanisms that steer our behavior and answer that one big question: how unique are we really?" Kwisthout says. A team led by researchers at the Texas Advanced Computing Center (TACC) recently published the results of an effort to use supercomputers to train a deep neural network for rapid image recognition. They used the Stampede2 supercomputer to complete a 100-epoch ImageNet training with AlexNet in 11 minutes, marking the fastest time recorded to date. The team also completed a 90-epoch ImageNet training with ResNet-50 in 32 minutes. "These results show the potential of using advanced computing resources...along with large mini-batch enabling algorithms, to train deep neural networks interactively and in a distributed way," says TACC's Zhao Zhang. The research involved developing a Layer-Wise Adaptive Rate Scaling algorithm that distributes data efficiently to many processors to compute simultaneously using a batch size of up to 32,000 items. "By not having to migrate large datasets between specialized hardware systems, the time to data-driven discovery is reduced and overall efficiency can be significantly increased," says TACC's Niall Gaffney. Former ACM president Barbara Simons' concerns about electronic voting systems' vulnerability to manipulation recently have gained credibility with the public, especially with suspicions of Russian meddling in the last U.S. presidential election coming out. As a co-director of Verified Voting, Simons subscribes to paper-based voting techniques, and she notes many of her computer scientist peers oppose paperless elections "because we understand the vulnerability of voting equipment in a way most election officials don't." Simons thinks mandatory hand-counted audits of randomized ballot samplings are critical for safeguarding against concealed vote theft. She also notes paper voting provides a permanent record, stressing, "There's no malware that can attack paper." Verified Voting supports certain hybrid voting machine models that ink paper ballots and can help people with disabilities to vote, provided the results are audited. "The technical community has a responsibility to inform policymakers of the limitations as well as the benefits of technology," Simons says.